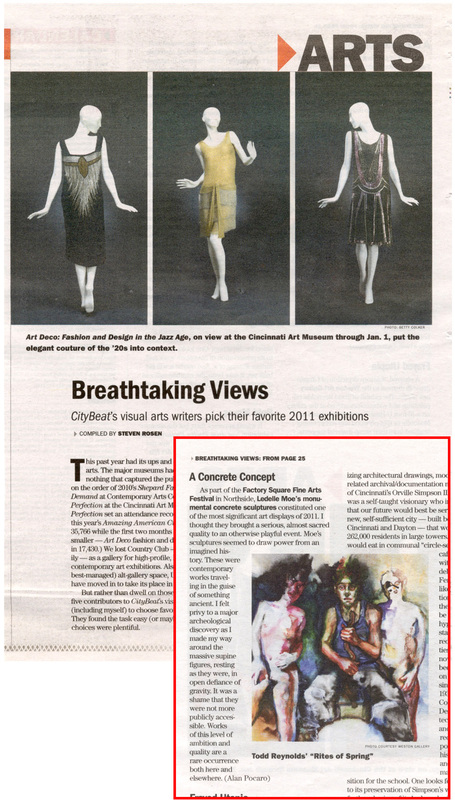 We'd like to humbly thank the writers of Cincinnati's City Beat for selecting The Factory Square Fine Arts Festival as one of their favorite exhibitions of 2011. Thanks again to our sponsors and everyone who enjoyed the festival/exhibition with us. We had a blast! Click here to launch the article in a new window. Once launched, clicking the article (again) will enlarge the text to a readable size. We're sure a few of you were wondering exactly how the shipping containers arrived for The Factory Square Fine Arts Festival. Well, thanks to a fun time-lapse video by our amazing videographer, Rick Hein, we can now show you! The video above is just one piece of what Rick and his crew are working on. Please stay tuned for even more exciting documentation of the event. 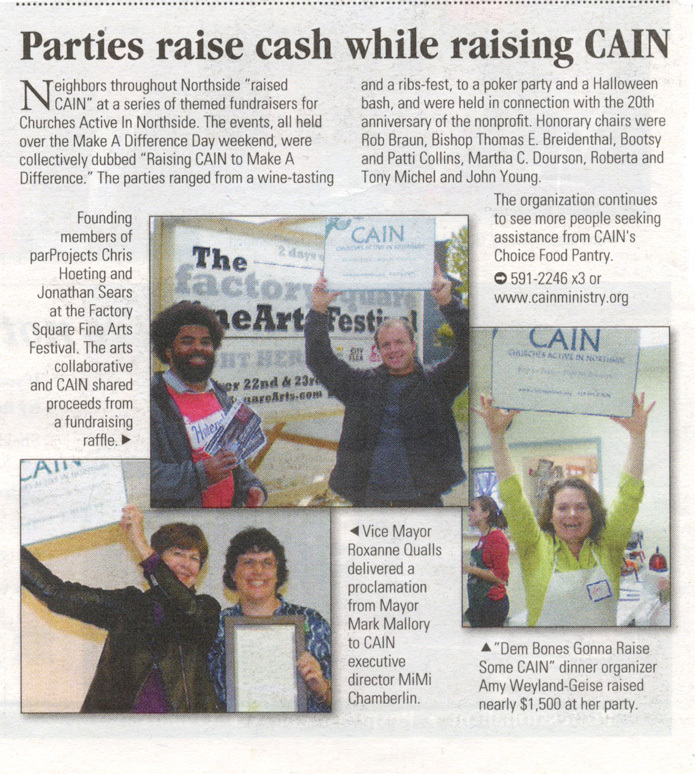 We thank Express Cincinnati for highlighting our participation in National Make A Difference Day alongside CAIN. We enjoyed helping the organization raise some well-deserved dollars and hope to continue working with them in years to came. Thanks again for the coverage. Click this sentence to launch the article in a new window. Once launched, clicking the article (again) will enlarge the text to a readable size.